Just before I started to prep the kitchen for dinner I saw that FX was airing 2012 this evening. 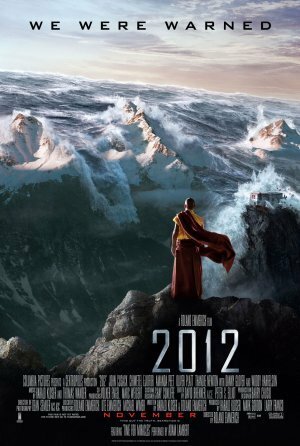 I saw 2012 a couple of years ago but I’m interested to see how many times I see it get aired or screened this calendar year. I’m also an unapologetic fan of John Cusack so I decided to give it another viewing and enjoy catching a lot of the things I may have missed the first time around. All in all the movie is pretty shift, but it also has another favorite actor of mine Oliver Platt, who for some reason has been in a lot of movies with John Cusack. Perhaps with Cusack and Piven break up, my boy Platt was able to come in and pick up the slack.